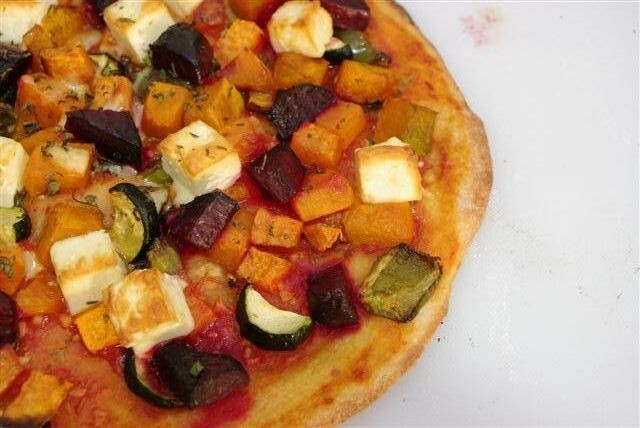 I love our Beetroot and caramelised Onion Pizza and now I’ve found another one to add to our favourites. 1 Qty each Dough and Pizza sauce. Baby Beetroot, Sweet Potato, Zuchini and Green Capsicum all chopped into bite size chunks and roasted for 30 minutes at 220C. Place on top of Pizza base and top with Fetta cheese and sprinkle with finely chopped Basil & Parsley.